Drs. Katherine Carrols and Tyler Cipriani, while conducting a time-messaging experiment at the South Pole, receive a message from 256 years in the future. The message urgently requests that they travel back in time thirty-two years to secretly launch a deep space probe aboard a US space shuttle. The space probe, if successful, would travel 4.3 light years, over a period of two and a half centuries, to deliver technology crucial to saving the lives of millions of people on Earth’s first colonized exoplanet. But can they trust the person who sent the message? Can they trust that the probe they’ve been asked to build isn’t actually some kind of weapon? Even if they attempt the mission, it won’t be easy. Not only must they find a way to travel through time, build a spaceship in secret, and launch it, they must do it while eluding the Russians, the Chinese, and FBI Special Agents Lauren Madison and Ellis Cole, all of whom are eager to capture the scientists and secure the time-messaging technology for their own interests. It’s a race against time—and through it—to save, or doom, millions of people they’ll never meet. 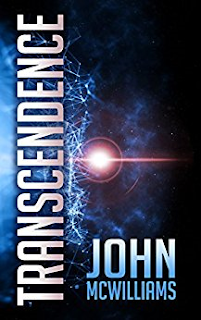 Get this science fiction ebook deal right now!